Twin Oaks Valley Water Treatment Plant, San Diego Water Treatment Authority. An example of what Los Santos is working on. It's our most important resource in the desert and the Bi-National Community is committed to preserving it. Los Santos sits atop the Mesilla Bolson, the largest aquifer in the region. This underground source of water is enough to supply Los Santos and it's projected growth well into the 22nd century and beyond. Even with this secured source of water, the Bi-National Community is working to create a sustainable development to preserve this resource, indefinitely. Stakeholders from both sides of the border are working with New Mexico State University (NMSU), the Autonomous University of Chihuahua (UAC), the Elephant Butte Irrigation District (EBID), the Camino Real Regional Utility Authority (CRRUA), the Border Industrial Association (BIA), Union Pacific and others to plan for a desalination solution for the region's water supply. Currently, the group is working on a research project which will use a trailer-sized desalination plant pumping water from a well on Union Pacific's property. The test plant will begin operating in 2018 and the data gained through the test will help design a utility-sized plant for the future. With the installation of water recycling facilities and purple pipe, Los Santos will reduce its net water usage to near zero. 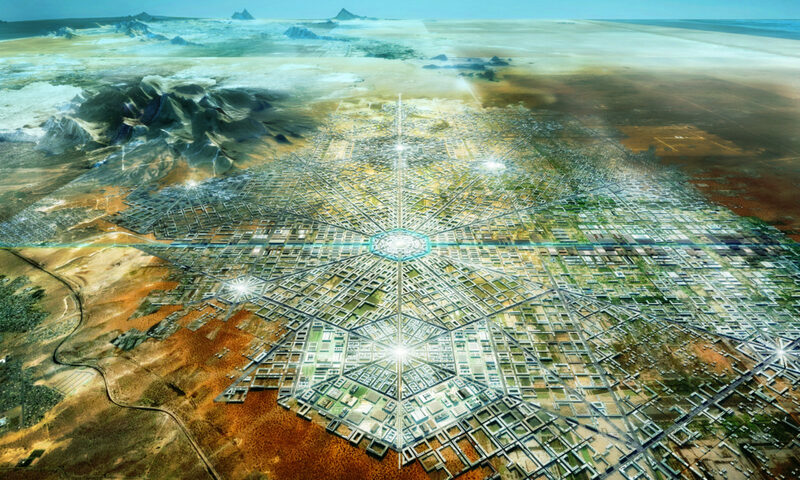 An abundance of sun will power the Bi-National Community into the future. 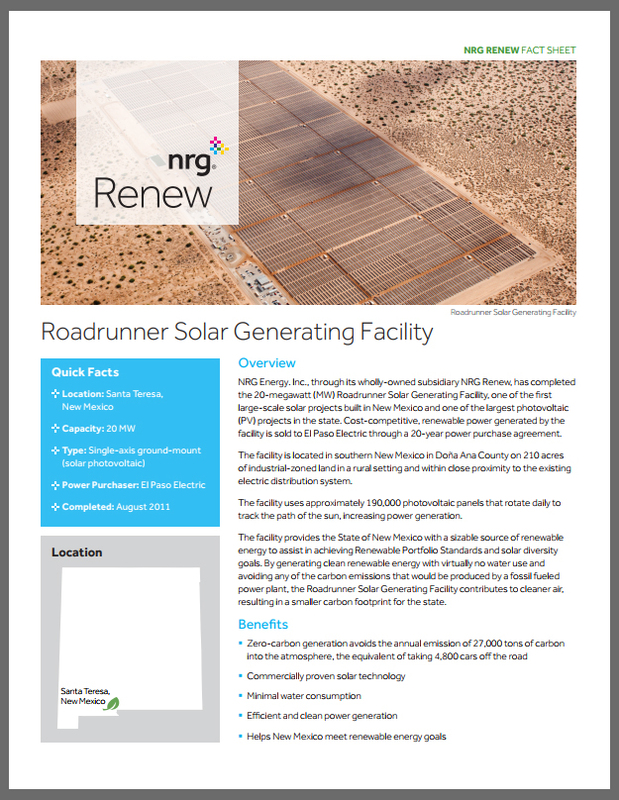 The Bi-National Community is home to NRG's 20MW Roadrunner Solar Generating Facility which is only 1.5 miles from the proposed HQ2Countries site. New Mexico provides excellent resources for both flat-panel and concentrating collectors. Las Cruces and Doña Ana County lie in the #1 solar resource area in the country for flat-panel and #2 for concentrating collectors. 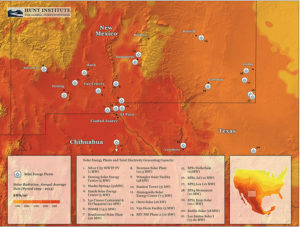 Las Cruces is also home to the Southwest Technology Development Institute (SWTDI), a renewable energy research and development center housed in the College of Engineering at New Mexico State University. 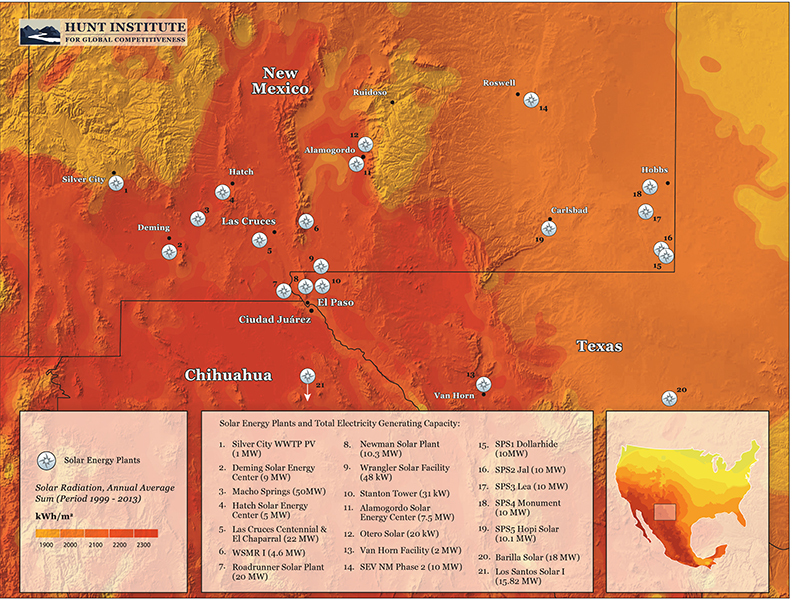 SWTDI operates the Southwest Region Experiment Station, which is a three-acre test and evaluation facility on the NMSU campus established by the U.S. Department of Energy. 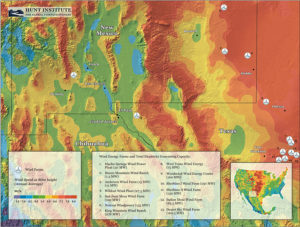 The Southwest Region Experiment Station conducts on-site and field testes of renewable energy systems and also assists with solar and wind energy program development and implementation. Wind is a proven, cost-effective, and environmentally attractive source of power. New Mexico has a total of 496 megawatts of wind power capacity installed at four wind power plants. 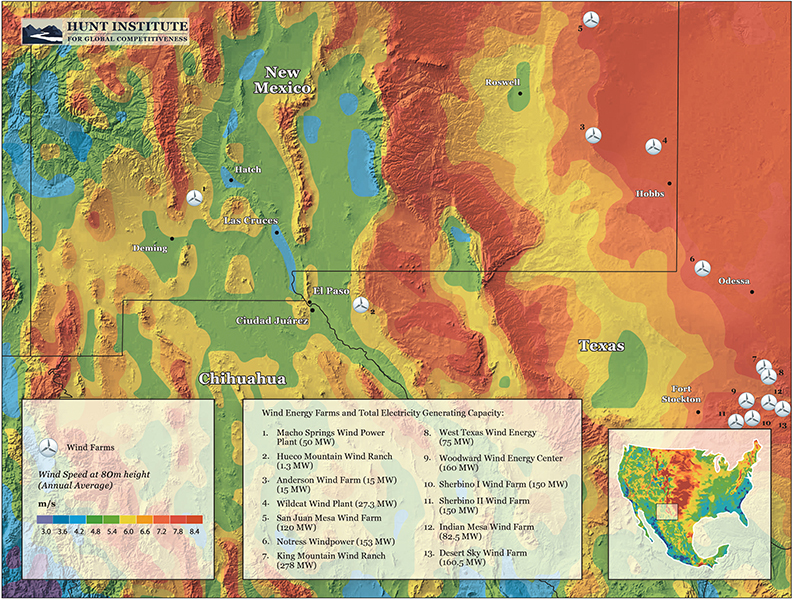 New Mexico also ranks twelfth in wind electric potential and is among twelve states in the midsection of the country that, together has 90% of the total commercial wind electric potential in the contiguous United States. The annual wind energy potential of New Mexico has been estimated to be 435 billion kWh. New Mexico has the potential to produce many times its own electrical consumption which puts it in a position to export wind electric power.